The SkyNode S200-P12 brings satellite Push-to-Talk (PTT) messaging for your aircraft the way it was meant to be – fast, secure, and easy to use communication. Utilizing the Iridium network with a user-friendly interface that employs pole-to-pole global coverage, your fleet, control and crew can communicate at any location around the world among a trusted, reliable, and secure private network. 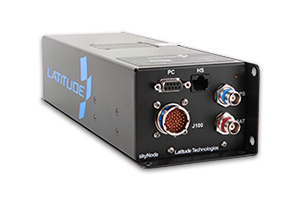 The SkyNode S200-P12 Push-to-Talk system is delivered as a complete package solution with Latitude’s RC6000/A(S) control head or as an upgrade kit for Technisonic’s TDFM-9100. Both options offer synchronicity for all mission-critical air and ground communication for your fleet. Improved communication brings interoperability for aircrews, air-operation stakeholders, and outside organizations across different regions without delay or the need to dial a phone number. Communication happens in real-time over an encrypted network, allowing your team to actively engage as a member of the conversation at any time. Excelling in aviation, air medical, and first responder organizations, the technology has been engineered to support high-intensity users in the world’s harshest environments. With Iridium, there are no dead zones or boundaries typical of mobile radio systems. Pole-to-pole coverage makes communication available when you need it the most. Operators can be anywhere in the world actively listening and participating in a secure group conversation when responding to any nature of situations, emergencies, or natural disasters. Read Latitude’s complete overview of satellite-based push-to-talk communication for public safety and special mission applications. Detailing the entire concept of push-to-talk technology, this document provides an overview of how all the working components combine together to form Latitude’s complete solution. Click here to view the Satellite-Based Push-to-Talk Whitepaper.